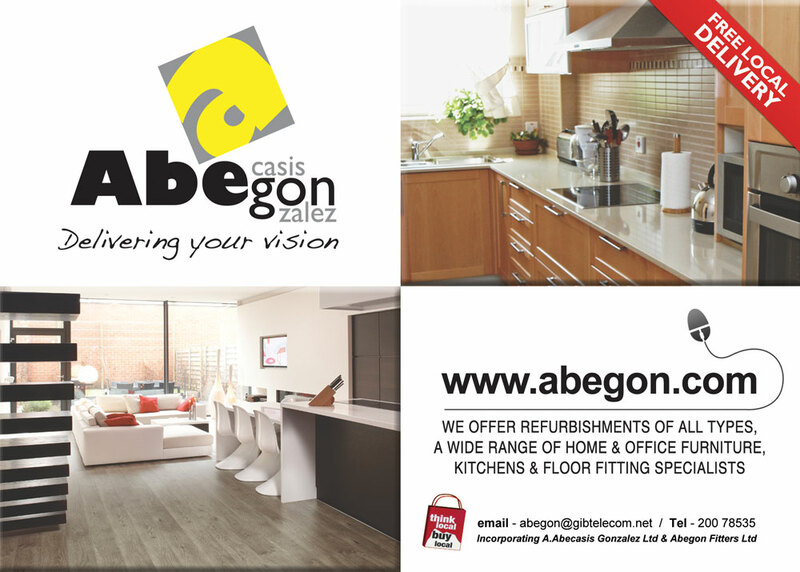 Abegon is the result of the incorporation of two separate businesses, A.Abecasis Gonzalez Ltd and Abegon Fitters Ltd. To help promote this new and improved business I designed a print advert for use in local Gibraltan magazines and newspapers. 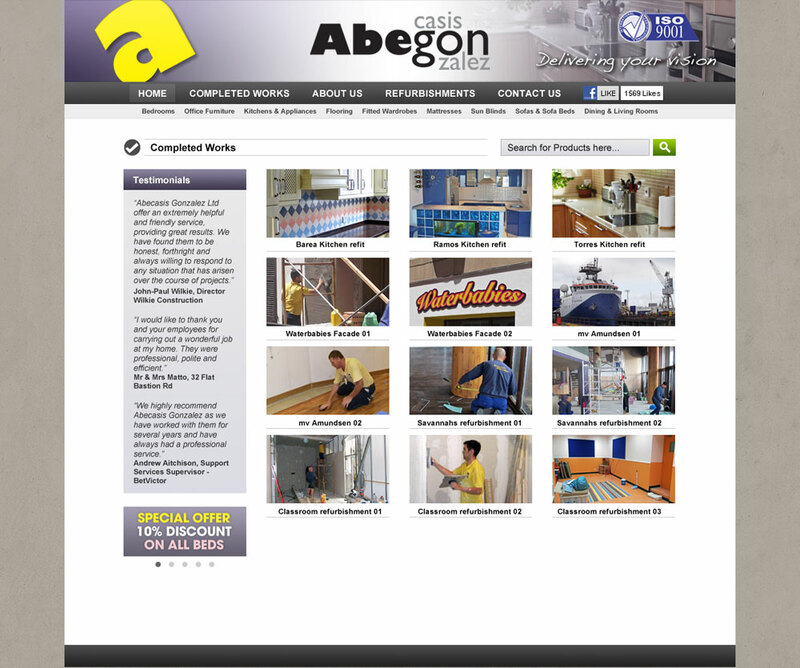 I designed the advert to prominetely feature the new logo design along with images of some of their recent work. It also encourages people to visit their new website. 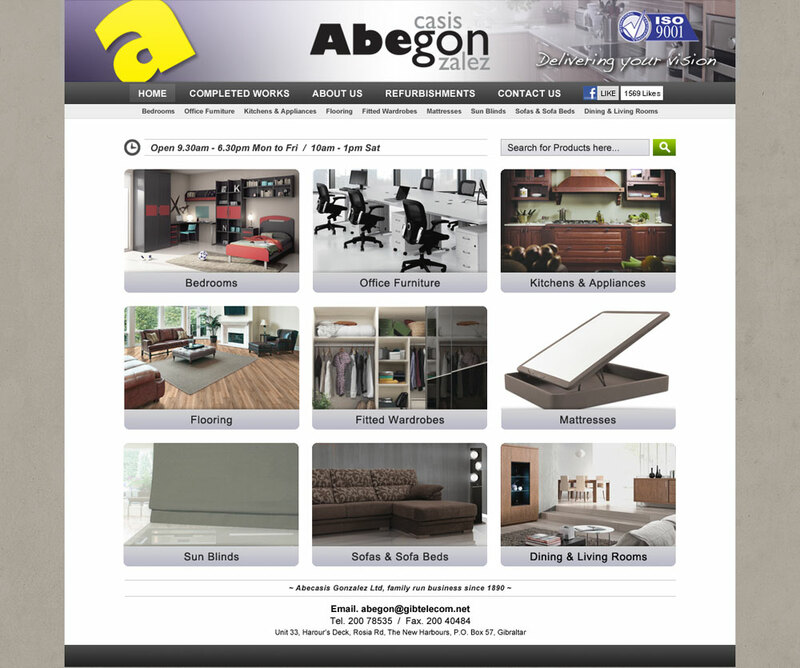 I helped Abegon launch their first website with a fully editable e-commerce site that is both good looking and easy to use. It was very important that the website be easy to edit so the client could add, edit and remove stock as and when it was required. 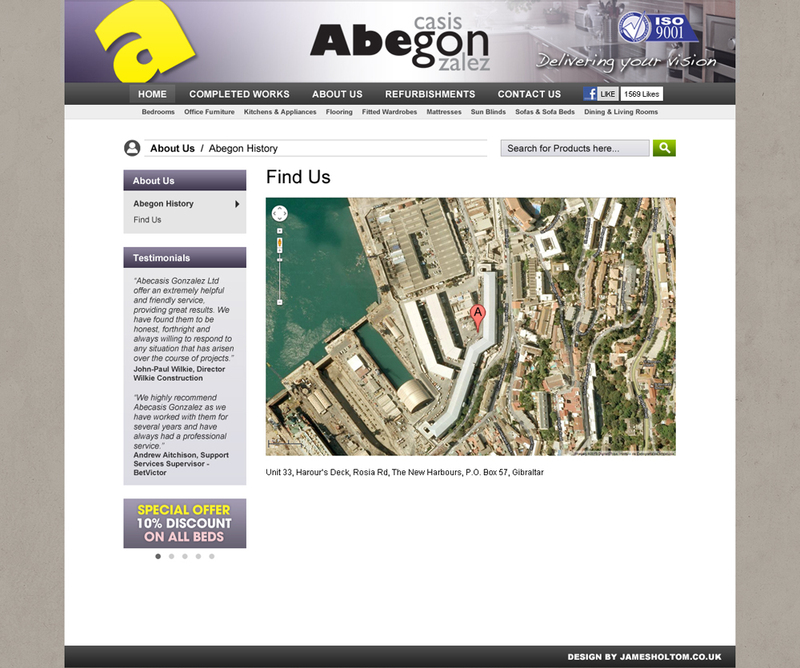 As Gibraltar is a small place it is also a very competitive market so it was essential that the site design stood out from it’s competitors. 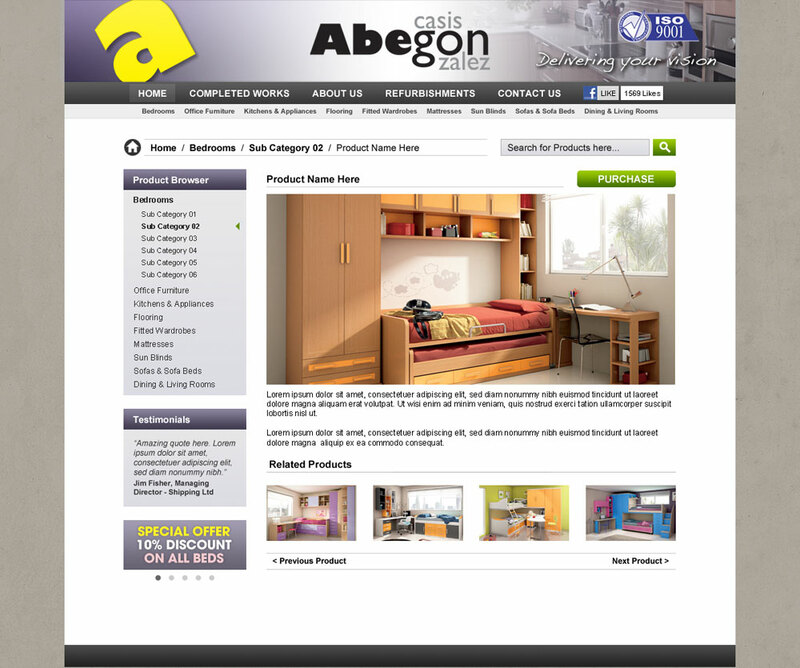 The client was extremely happy with the final design and it has helped them reach a new customer base that they did not have access to before the website launched.